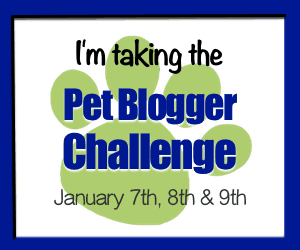 The Dog Effect – 7th Annual Pet Blogger Challenge! I started my Blog at the end of 2015, so just over a year now. My site aims to provide dog owners with ways to keep your dog happy and healthy. I want to evolve this into more fun outdoor activities to enjoy with your dog and how to spend quality time together. The site also includes simple healthy hints and products reviews. Being a new blog, I was super excited and proud to start getting traffic, ANY traffic, and making my first sale on Amazon! My favourite post was not one I wrote myself but a story told by Chad Tucker, a TV journalist at FOX 8 News in North Carolina. I wrote an article that basically retold his story. It is a story that I dread to think about as my little furry mate is 12 years old and getting into his senior years himself. I received a message from Chad thanking me for retelling his story. The story still makes me cry! This is one that I struggle with, being a new blogger and knowing exactly how to get the word out there. The articles that have been read the most are ones that I spent the most time on doing keyword research. I use Long Tail Pro for this. My most popular post this year was a compilation of amazing adventure dogs on Instagram. http://thedogeffect.com/top-10-adventure-dogs-on-instagram/. I jsut love the beautiful dogs and incredible scenery. I have connected with some of the dogs on Instagram and received feedback that they loved the post. As much as I love a great dog blog or travel blog, this year, I have been following Niche Pursuits at http://www.nichepursuits.com/. They have helped me build my blog and to understand the business side of blogging. For new starters, i recommend following their Niche Sites Project 3.0. ​We lived in the middle east for a year and we didn't think twice about taking Tiger with us. He flew all the way from Australia to Dubai and landing with a wagging tail. I keep meaning to write a post on his adventure. Blogging is great fun, but as a business it takes time and hard work. If you are serious, then stick with it. Also.... don't over subscribe to business blogs, find one that makes sense to you and stick with it. I am currently going through my subscriptions and deleting them. So much noise and shiny objects can get distracting. Grow, grow grow..... more posts and more traffic by making each post add value. Being more consistent. I work odd hours and find it hard to be consistent so need to do some planning for 2017. ​Oh yes..!! When you were a new blogger, what was your game-changer? Was there a defining moment or activity that caused your blog to take off? Did you have an A-ha moment?